In January 2017, Electric Zoo announced its theme to be “The 6th Boro”; a move to further establish itself as New York City’s premier electronic music festival by asserting to be an unofficial addition to the city’s five major boroughs. The announcement for the 2017 installation of the Labor Day Weekend Festival came after news of its forthcoming expansion into Brazil, and recent foray into China. Today, March 30, Electric Zoo has announced the first phase lineup for its “6th Boro” installation. 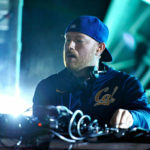 Undoubtedly, the most exciting news from the festival comes in the form of its momentous Sunday closing act: a rare, coveted b2b set between deadmau5 and Eric Prydz. The legendary duo will be preceded by headliners DJ Snake and Above & Beyond on Friday and Saturday, respectively, but are not the only intermittent performance partnership of note on the event roster. Sasha & John Digweed also hold a slot on the 6th Boro lineup as special guests, alongside fellow special guest Excision. Among the festival’s further draws are future house kingpins Tchami and Oliver Heldens, trance influencers Markus Schulz and Aly & Fila, and bass music stars NGHTMRE and JOYRYDE.